The mid-to-late-1990s saw an explosive interest in space and its relation to identity and Sally Munt has made a significant theoretical contribution to this. Heroic Desire is a creative and positive exploration of lesbian culture and identity politics in relation to ‘space’. She is keen to demonstrate that claiming a lesbian self is political, that identifying as lesbian in a homophobic environment is ‘heroic’ and that being a lesbian requires a degree of rebellion in favour of one's own desire. Throughout the book, Munt looks at various identities that are included in lesbian subculture as forms of spatial existence and resistance to the ‘absence’ of lesbians in dominant culture. These include the lesbian hero, flâneur, butch, outlaw and citizen. The book comprises six chapters that overlap and intersect, although each chapter may stand well on its own. Munt begins by detailing the concept of ‘hero’, which she has noticed to be constantly appearing in post-Stonewall lesbian film and fiction. In contrast to conventional heterosexual heroic texts that return the reader to a heterosexual world, these transport the lesbian reader to another world, for example, a new form of ‘self-hood’ or a preferred community, via identification and desire. She also considers the lesbian flâneur as metaphor for creating spaces for existence. Like the lesbian, the flâneur is simultaneously detached from and a part of city life, the importance of the wandering lesbian flâneur being that through mobility she takes ownership of space and offers visibility. Munt likens this to Gay Pride marches through city streets. The chapter on the butch body is a lengthy discussion of the many meanings attached to the term ‘butch’ and the chapter comes to life in the section regarding the stone butch and the embodiment of ‘butchness’. She says that while the stone butch symbolizes a variety of desires and taboos she is not a conventional woman, she is in a space of her own. The visibility of the butch's space is important to lesbians, as Munt claims that the butch is the most recognizable public form of lesbianism and as an outlaw figure she is romanticized by lesbians. Not surprising then that Munt looks at how lesbians have adopted the outlaw status to fuel political movements since the 1970s, such as Lesbian Amazons and Lesbian Avengers in America. A crucial chapter in the book highlights the importance and limitations of discursive spaces such as lesbian nation in the 1970s and queer nation in the 1990s. Munt looks at some of the dilemmas surrounding inclusion and exclusion and how the uses of the concept ‘nation’ have often proved destructive in reality. This remains relevant two decades later as lesbians continue to dream of commonality and unification and require space to achieve this, not simply hard physical space but discursive and imagined space also. Central to the book is the importance of cultural space for presence and resistance, whether it is ‘real’ or metaphorical. Both movement, time and the imagination are required for political effectiveness in a world where lesbians are ignored and Munt explains that this involves integration of the self with other selves and with each other. With reference to dichotomies such as pride/shame she outlines how lesbians have been motivated to claim and occupy space in the city, how it may continue to be used and expanded and how this relates to politics of identity and agency. The book offers lesbians, both individually and collectively, spatial opportunity to resist and exist, from reading lesbian fiction in private to marching among thousands through the streets. Initially, I was not convinced by these offerings of space, they seemed too idealistic and not necessarily within the reach of many lesbians. While I can see the relevance of the cultural spaces she discusses, I would have liked more discussion on who exactly has access to them and how this may differ among lesbians with differing resources to draw upon (although Munt does acknowledge differing identities such as ethnicity and class). Many of the spaces discussed are those that Munt has experienced personally and I would also have liked a more detailed discussion of the labour of finding these spaces and how these interact with other spaces and with time on a daily basis. The impression I got was that much of this space is accessed during one's ‘free-time’ and that both space and time are factors in one's ability to exist and resist. Although Munt touches on this and I can see that these spaces are available, it is not clear when they are so. The multitude of sources and references Munt draws on is commendable. Not only is she obviously widely read in academic texts, she has also conducted in-depth analysis of various cultural products including lesbian novels, films and poetry. The edge to the book is given by her inclusion of personal everyday experiences that serve a range of purposes in addition to illustrating her main arguments. By focusing on the identity ‘lesbian’ she shows that a sense of lesbian self is a suitable guide to resistance (and change). 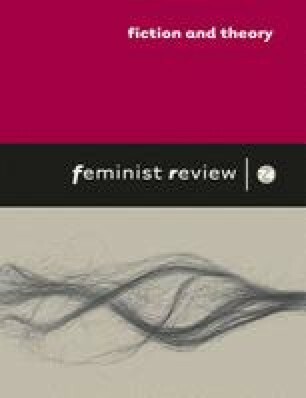 The inclusion of her own experiences demonstrates her point that resistance and liberation require reflection on the unique experiences of individuals, this enables specific needs to be served and an understanding of the many ways oppression can be resisted, individually and collectively. Although not a sociological book, I have read it three times and each time I found something new and exciting that made the discussions increasingly convincing. Heroic Desire is an enjoyable read for anyone interested in identity politics, particularly if concerned with cultural studies, women's studies, lesbian studies and social geography.